Paige Price joined Samford University's Cumberland School of Law in March 2018 as the assistant director of graduate programs. In this role, she acts as the main point of contact for all prospective and current students in the M.S.L. and LL.M. programs. Prior to joining Samford, she worked at UAB as the assistant director of engagement for alumni affairs where she developed and implemented the overall strategic plan for the UAB National Alumni Society’s engagement efforts. She has also worked at Maynard Cooper & Gale P.C. as the marketing and business development coordinator and at the Birmingham Museum of Art as the special events manager. 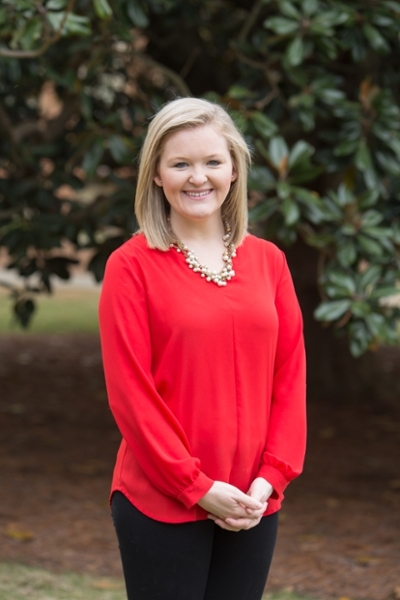 Paige volunteers with Innovate Birmingham as an interview and resume writing coach and is also a member of the Alabama Symphony Orchestra Junior Board of Directors. Paige lives in Hoover with her husband, Erin and young son, Taylor.